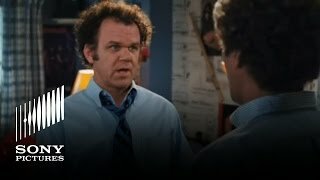 Will Ferrell and John C. Reilly will play coddled guys who live with their respective single parents. Their folks fall in love and marry, making the guys stepbrothers. Step Brothers release date was Friday, July 25, 2008. Brennan Huff, a sporadically employed thirty-nine-year-old, lives with his mother, Nancy. Dale Doback, a terminally unemployed forty-year-old lives with his father, Robert. When Robert and Nancy marry and move in together, Brennan and Dale are forced to live with each other as step brothers. As their narcissism and downright aggressive laziness threaten to tear the family apart, these two middle-aged, immature, overgrown boys will orchestrate an insane, elaborate plan to bring their parents back together. To pull it off, they must form an unlikely bond that maybe, just maybe, will finally get them out of the house.